Hands on cards make learning math fun. 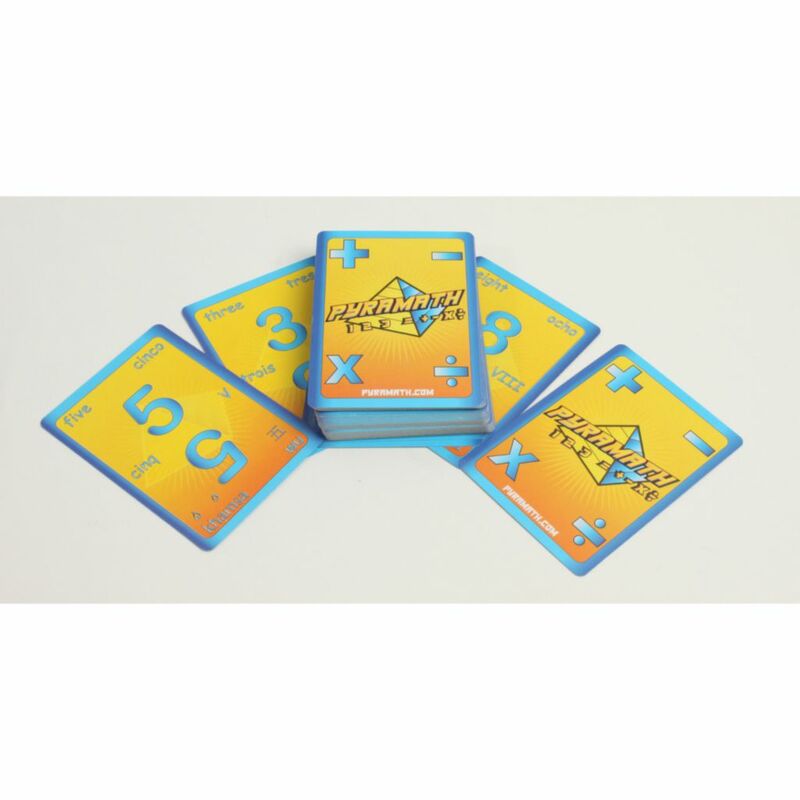 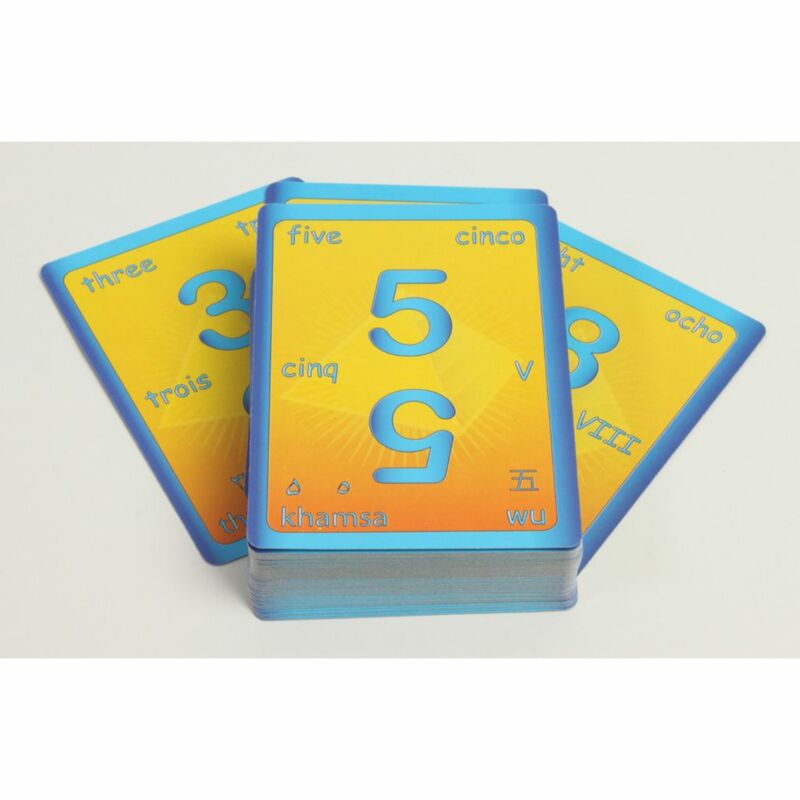 Each brightly colored card displays four basic mathematical symbols on the back, and the number along with English, Spanish, Chinese, Roman, French and Arabic translations and symbols on the front. Players quickly identify the numbers on their cards and add, subtract, multiply and divide to finish their pyramid first! 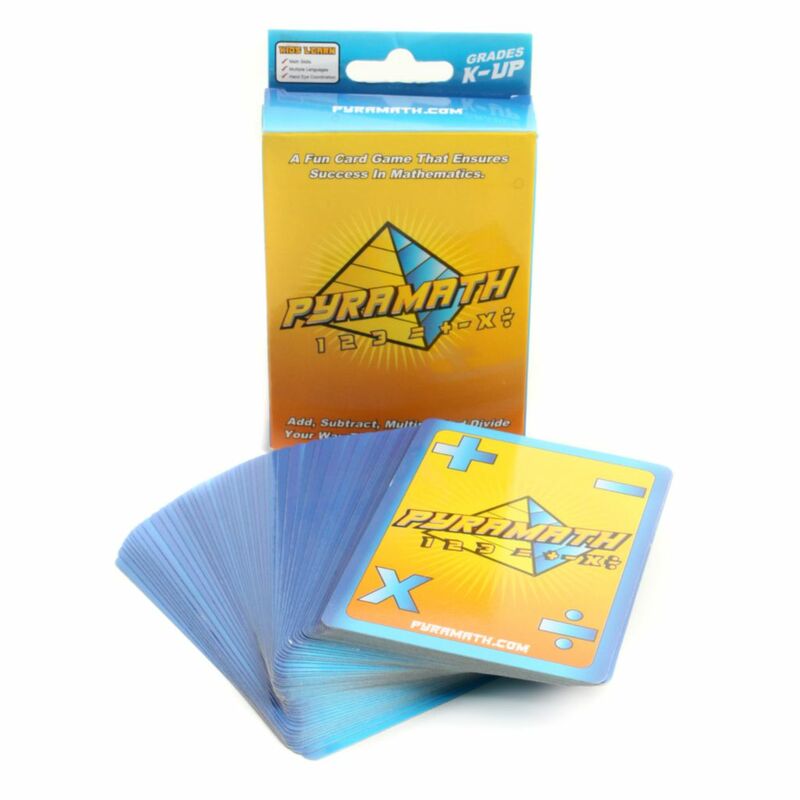 Whoever is the first to finish their pyramid by using their mathematical knowledge wins PyraMath® Demonstration.